Welcome to the home of W4GTA, the Tri-States Amateur Radio Club! 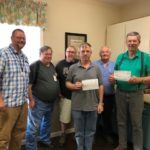 The Tri-States Amateur Radio Club is a widely-based group of amateur radio operators, primarily located in NW Georgia and surrounding areas, who gather together for camaraderie, fun and to further our hobby. We enjoy all aspects and modes of Amateur Radio, Analog as well as Digital modes, from lower HF frequencies all the way up to frequencies you probably weren’t even aware of! All persons interested in learning about Amateur Radio are welcome to and to be a part of our meetings and/or events! The TSARC also maintains a Facebook presence, our Facebook page is located here: https://www.facebook.com/tristatesarc/. Contact Us here for more information or if there is any way that we can be of assistance to you. We had another great testing session, one new Tech and one General to Extra upgrade! 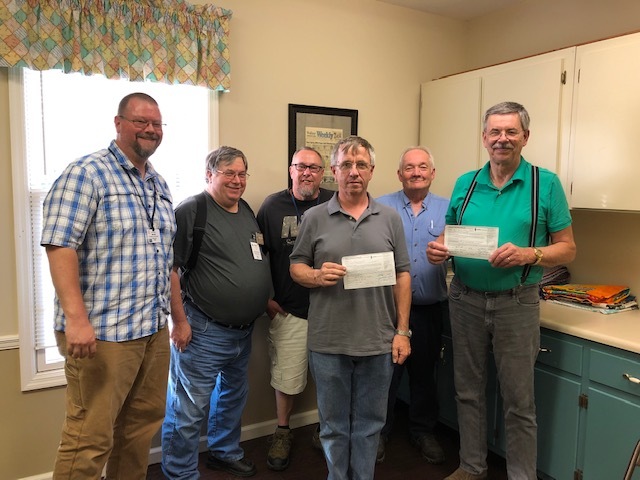 Welcome Gene Quarles – KN4RVA/AE and John Samilo (new call to come), to the wonderful world of HAM Radio! Let’s all share a round of applause and let them know we’ll look for them on the air. The National Weather Service Office in Nashville is hosting free, yes free, weather classes. All you need is a laptop. Classes begin next month. This is also the first spring the classes have been offered by the weather service. The courses started in Fall 2018. Classes such as radar, flash flooding, and observations in 3-D begin next week. The first class being offered is ‘The Radar: Reflectivity, Velocity, and Dual Polarization,’ which begins at 7:00PM on Monday April 1st. The classes are an extension of the SKYWARN Storm Spotter Program that’s been offered for decades. No prior training is needed before attending the classes. Plan for a one hour class, with time afterwards for questions. This is an online class, Click here to sign up! 2019/04/07 – Come connect and learn all about Fusion and the new PDN modes, presented by Yaesu. See LMARC for more deatils. 2019/03/14 – TSARC Club Meeting – Meets every 2nd Thursday of the month @ 1900 (7pm Eastern). Board Officers will be nominated. 2019/03/13 – Join the new TAG Digital Voice Nets. 1930, Fusion Wires-X – 2000, D-Star & 2030 DMR. See LMARC for more details. 2019/03/12 – Join in on the 10 meter fun with the Walker Cty ARES Group, Tuesday, 7:30pm on the W4GTA 145.350. NC will lead from there. 2019/02/01 – SKYWARN Spotter Training Class – You MUST register (see link to left). See here for the SkyWarn Weather Spotters Filed Guide. 2018/12/26 – We now accept Paypal online for new and renewal Memberships as well as tax deductible Donations! 2018/12/26 – 287 Wire Antennas for HAMs is available! Check out this document, amazing content, diagrams and more in our files section. 2018/12/19 – TSARC Christmas Dinner pictures have been uploaded! If you have more, send them to w4edp AT tristatesarc DOT com. 2018/12/14 – TSARC Christmas Dinner and Club Meeting. This replaces the regular meeting. Board Officer voting & Election. 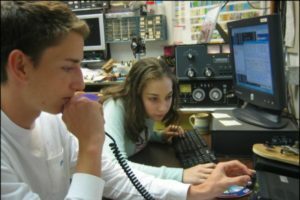 2018/09/17 – The Cherokee Capital Amateur Radio Society would like to invite you all to our Monday September 17, 2018 meeting at 7pm. John Kludt K4SQC will be making a presentation on satellite contacting. We think you will find this informative and exciting. Our meeting is held at the Gordon County Agricultural Service 1282 GA-53 Spur Calhoun Georgia 30701 Our meeting starts at 7pm and snacks and refreshments will be served. Hope to see you all there, and look forward to getting to know you all better. 2018/08/09 – Come join us for an evening of D-Star “101”. We’ll have radios, hotspots, & computers setup so that you can learn and put hands on! 2018/06/11 – Added information on new GA Hands Free Law to Documents page. 2018/06/11 – Check out the new Coverage Maps page. You can get a good idea of where you expect usable coverage and/or dead spots for our systems. The importation and use of non-certified radios continues to be a hot item for discussion in the Amateur Radio community. The primary issue is that such radios are being marketed to the non-ham community and are often used by non-licensed individuals on Amateur Radio frequencies. 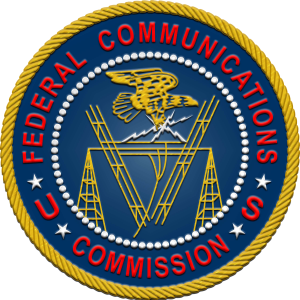 Use of Amateur Radio frequencies is only for use by properly licensed individuals. Simply because a radio can use a frequency, doesn’t mean it’s legal for even a licensed individual to do so. See the full article here. Make sure you stay legal, only transmit where you are legally licensed to do so. Starting Sunday July 29th at 7 PM Eastern on the N4LMC Digital Systems, will be the Young Operators Digital Voice Net. The TSARC owns and operates one of the amateur radio repeaters in the NW Georgia area. 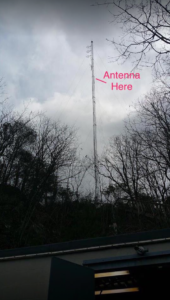 Our W4GTA 2 meter repeater located high atop (2473′ ASL) Lookout Mountain in GA, operates on 145.350 (minus offset & a pl tone of 100.0 Hz) and is open to all properly licensed Amateur Radio Operators. The W4GTA repeater has some of the best coverage in this area, it covers all of NW GA, South down toward Calhoun, West into Alabama as well as Chattanooga, TN and North. If you would like to help support our efforts to maintain this repeater and it’s coverage, think about joining the Tri-States Amateur Radio Club. At only $20 per year, it costs less than 1/3 of a cheap cup of coffee per month! Also, some of our members own, operate and maintain repeaters and other types of systems that are open for all properly licensed Amateur Radio Operators to use. You can find out more about many of these systems by checking out our Repeater Listings. Come try us out, we think you’ll find what your looking for here! We are very good at communicating! If you’re having a public event where communications are important, we might be able to help. Amateur Radio Operators assist in events such as bike races, triathlons, parades, large events and more. All the practice we get from helping out, is preparing us for emergencies that we hope we’ll never have to deal with. Let us know if we can help by Contacting Us. With that said, what we really want is for YOU to have fun and enjoy this hobby!